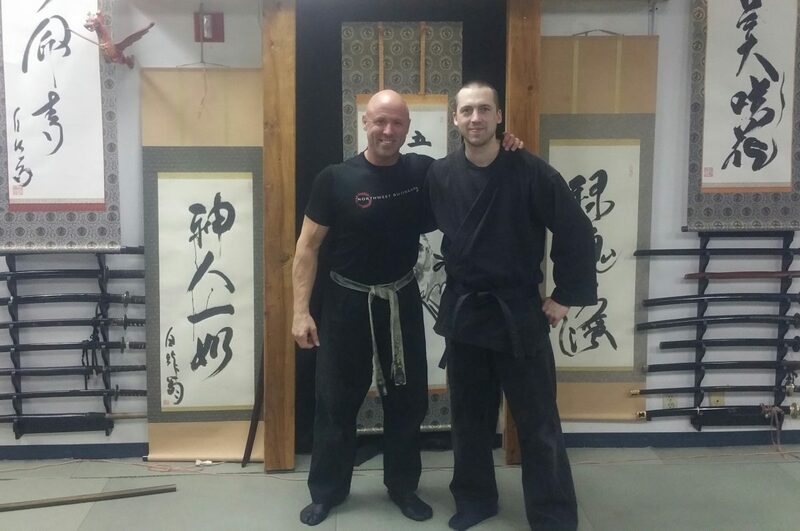 Train at Tactical Budo Bujinkan Dojo, Spokane Valley, WA. All students are accepted on a case by case basis. Anyone may be expelled from the school at anytime, for any reason. All students must sign a release of liability document. We do strive for safety in this dojo, and all students are encouraged to train at a level and pace that is comfortable and safe for them. You must provide a valid State issued ID card or driver’s license, which will be copied for our records. You are expected to show up for class, normally at least twice per week. $199: New student sign up special! Includes your 1st month of training and a uniform consisting of: Gi (Jacket and pants), Obi (belt), and Tabi (traditional split toe footwear). $100/Month: Current student ID with auto pay. Prices are for unlimited classes, per month. Dues need to be paid before the 15th of the month. There is a $25 late fee for dues paid after the 15th. If you fail to make your monthly payment before the end of the month then you need to pay $200 to be reinstated as an active student. Traditional Asiatic Horsebow Archery is offered as a stand alone class. The cost is $20 per class for non Taijutsu students and is free for active Taijutsu students. Private classes can sometimes be arranged depending on availability, please inquire. The cost of private classes is $40/hour.